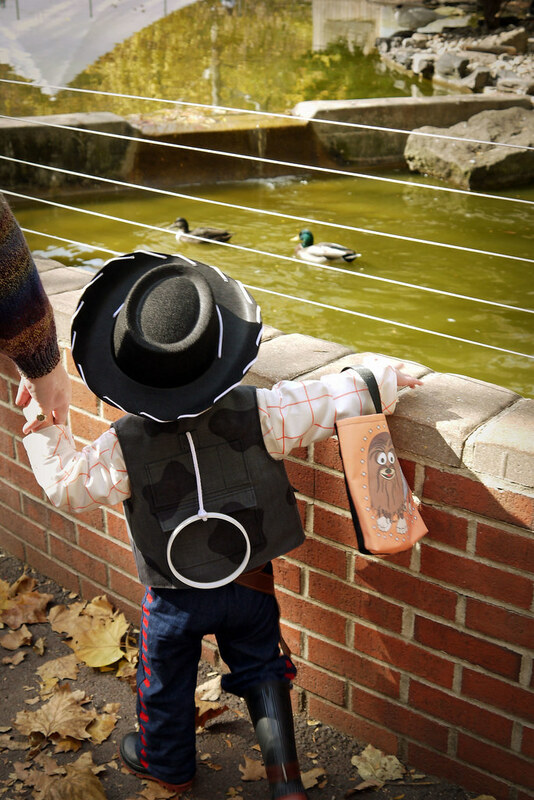 Rootin’-est Tootin’-est Cowboy in the Wild, Wild Cantina! It’s no secret that Halloween is my favorite holiday. The candy, the decorations, the crisp fall weather… but mostly, the crafty possibility. I try to go all out on a costume every year, and 2015 did not disappoint. 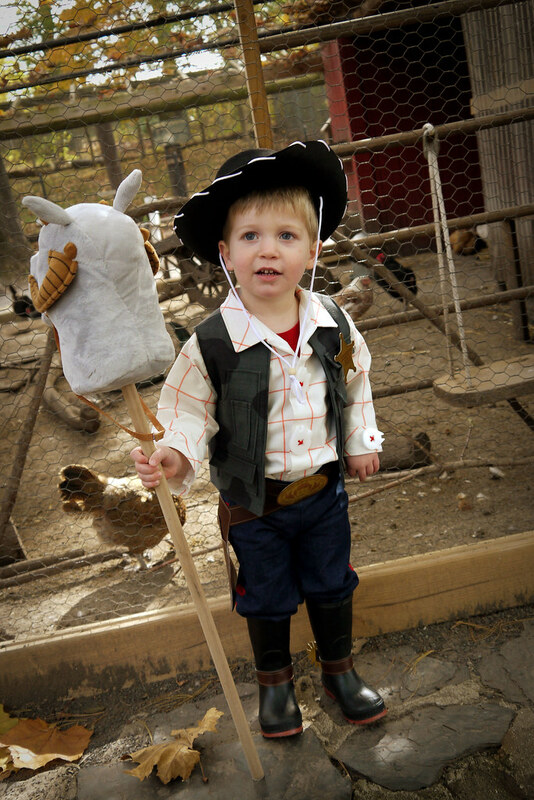 Now that my son is getting older, he was able to have input into his costume choice for the first time. 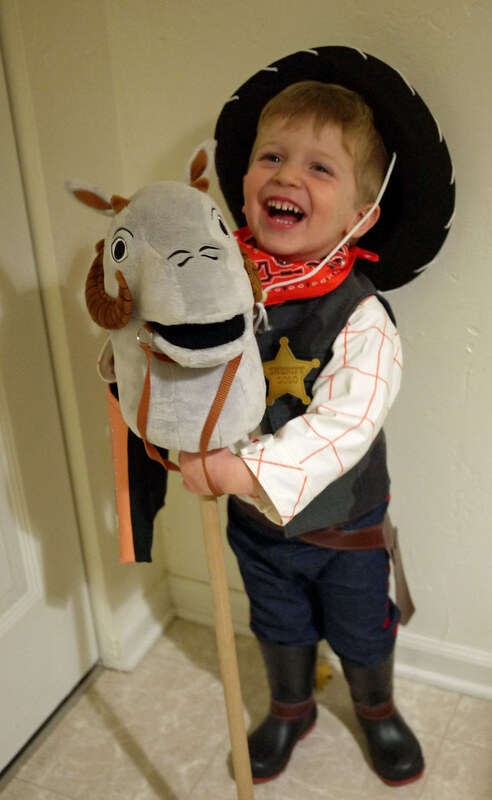 He couldn’t decide between Woody from Toy Story and Star Wars, so I tried to give him both. 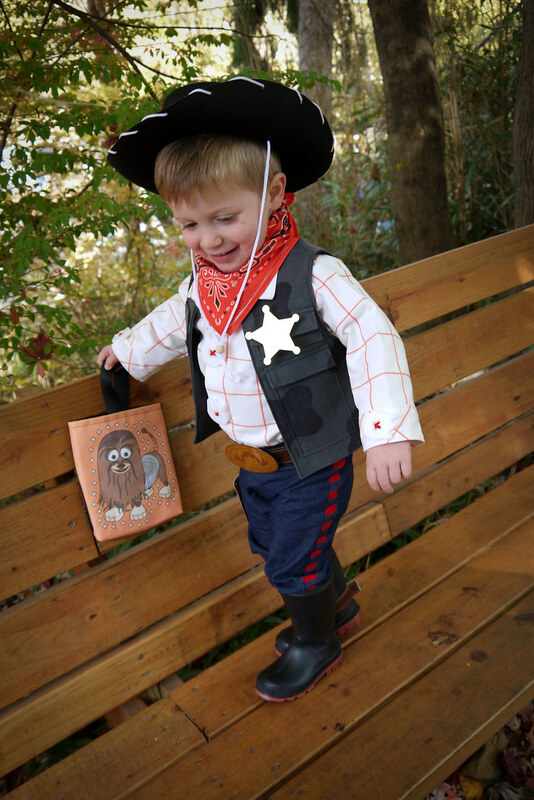 Introducing… Sheriff Woody Solo! I tried to blend elements from both characters together into the ultimate space cowboy. There are so many fun details in this costume, and I’ll try to touch on all of them. 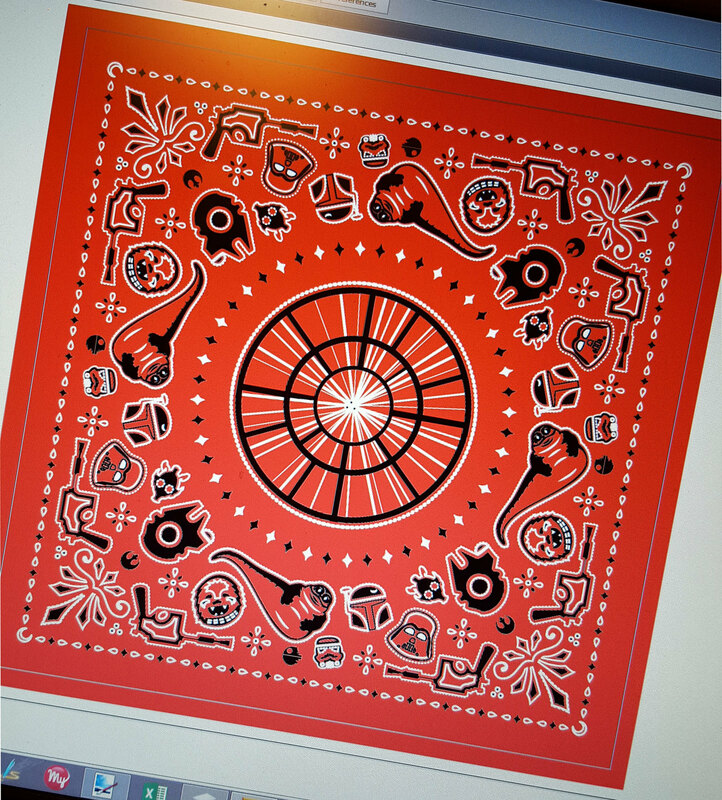 First was the bandana. 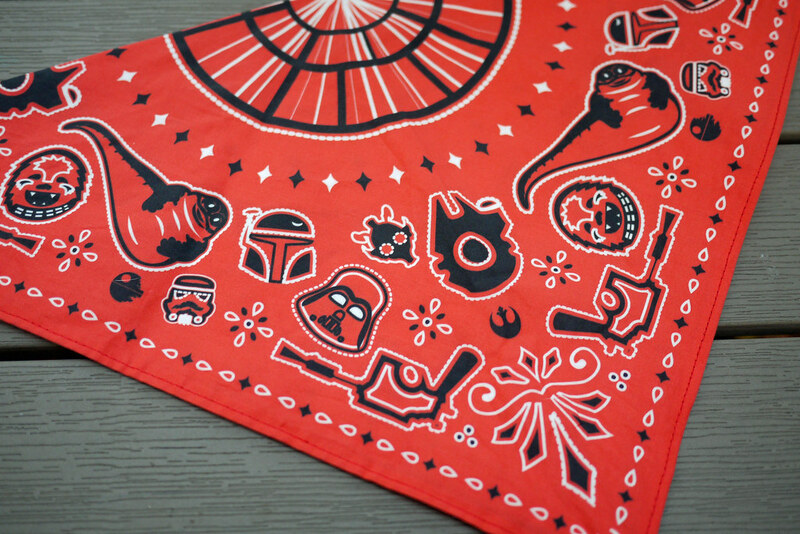 Taking inspiration for a traditional red and white printed bandana, I set out to make a Star-Wars inspired version. 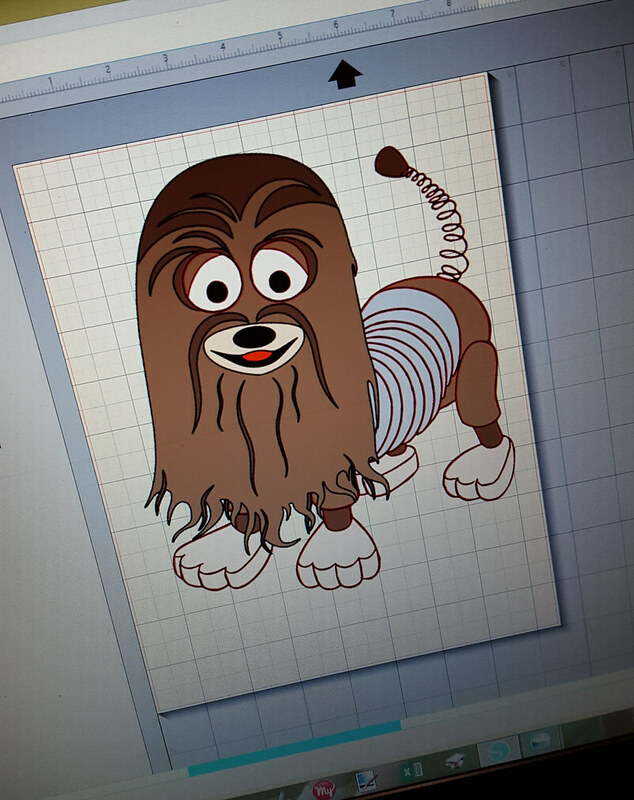 The final product turned out better than I could have hoped, especially considering my limited skills in AI. 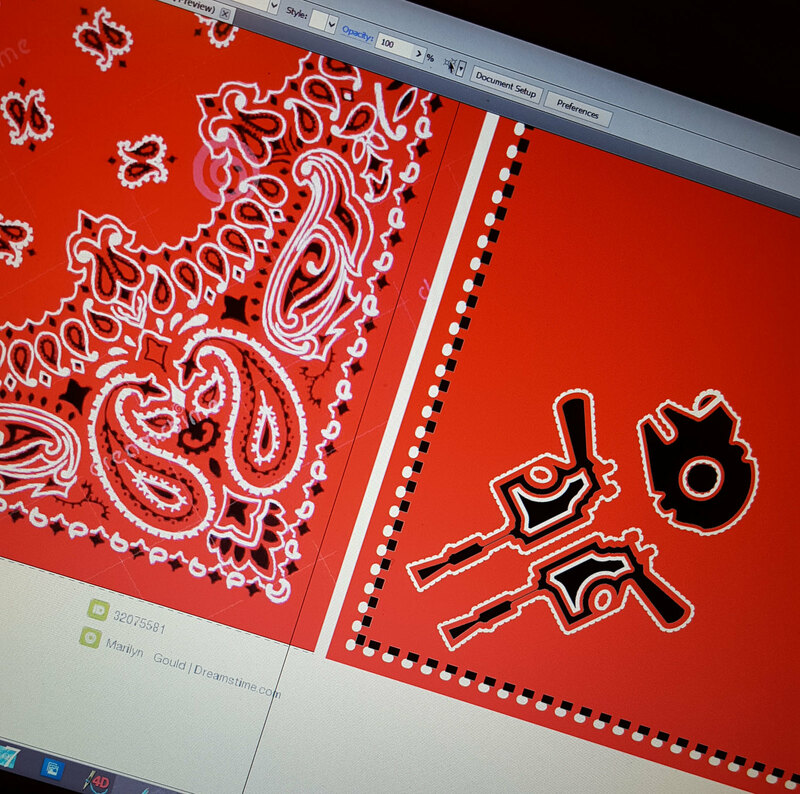 It went off to Spoonflower for printing. 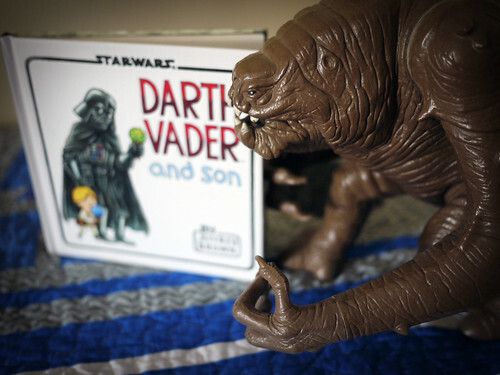 He loved finding all of the characters once it arrived. 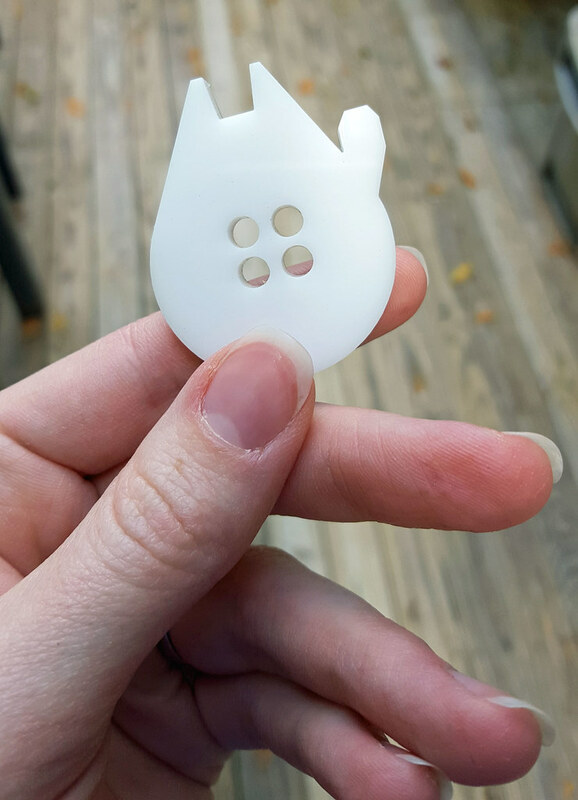 As always, I was very pleased with the print quality. A quick trim and hem and it was finished. 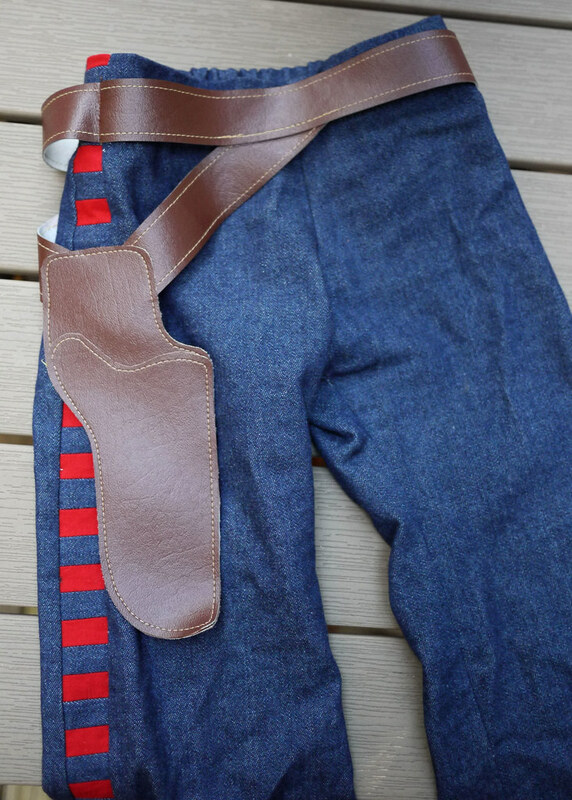 For the pants, I wanted to incorporate denim (Woody) and Corellian blood stripes (Han). 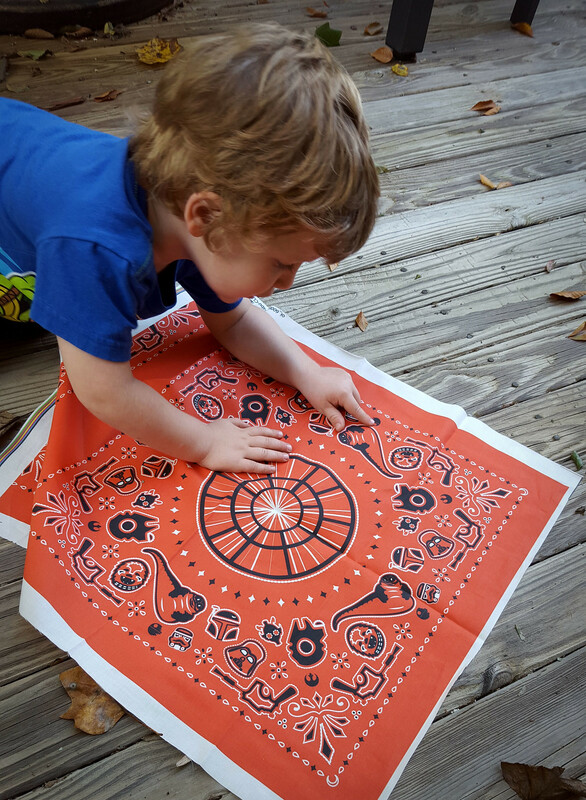 The pattern is free from Dana Made It – Kid Pants. 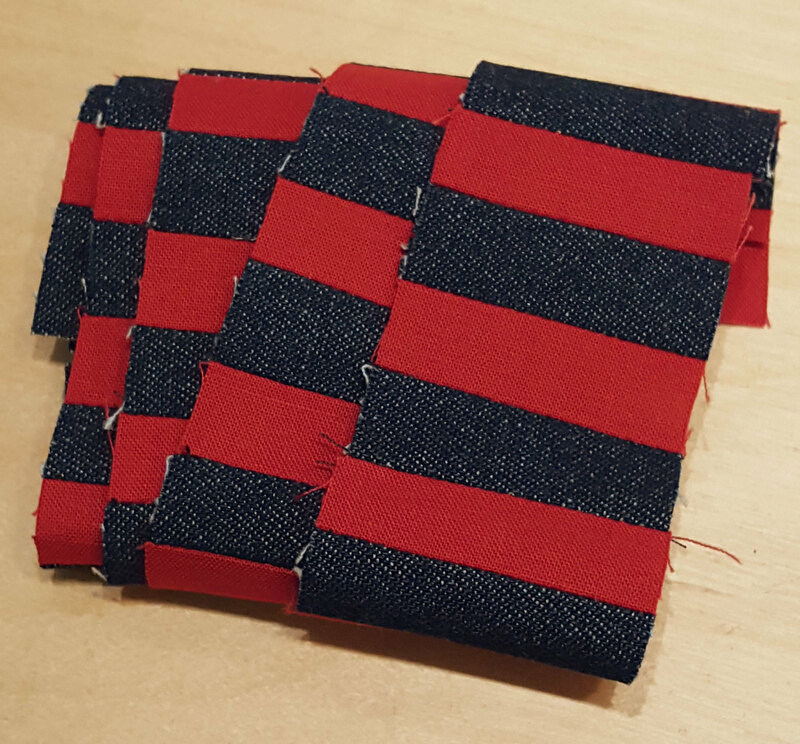 I trimmed a bit off of each outer leg seam allowance to make room for a strip of stripes. I used the flat front option. 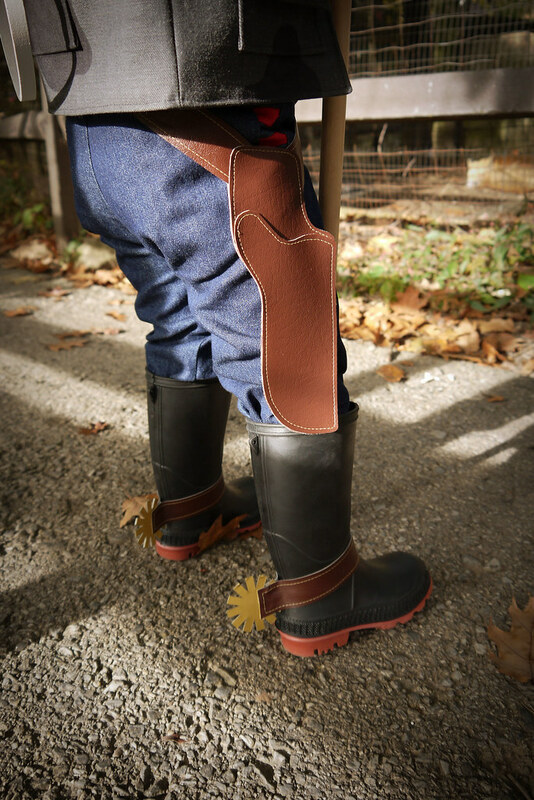 Scraps of topstitched vinyl were used for the belt and holster. 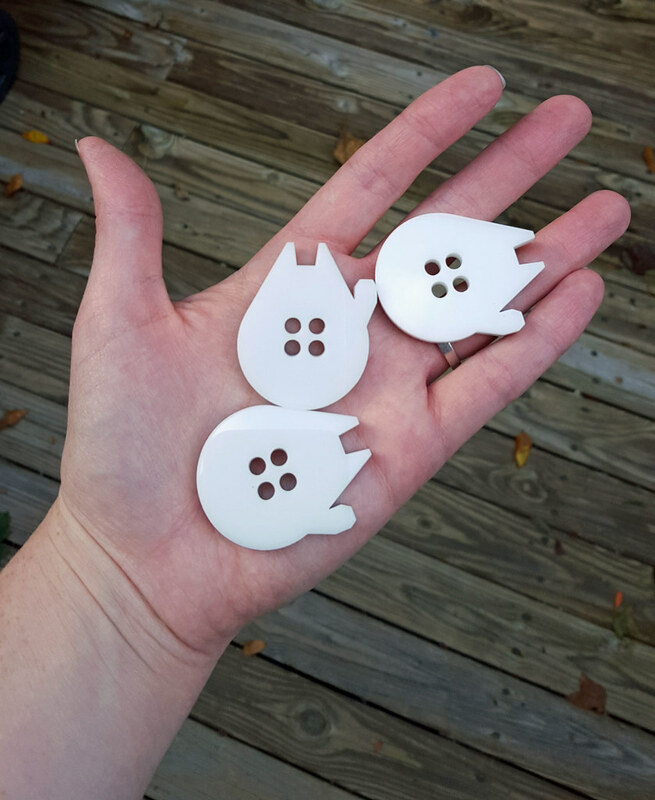 After making the costume, I still have four buttons left over. Any suggestions? On to the shirt. 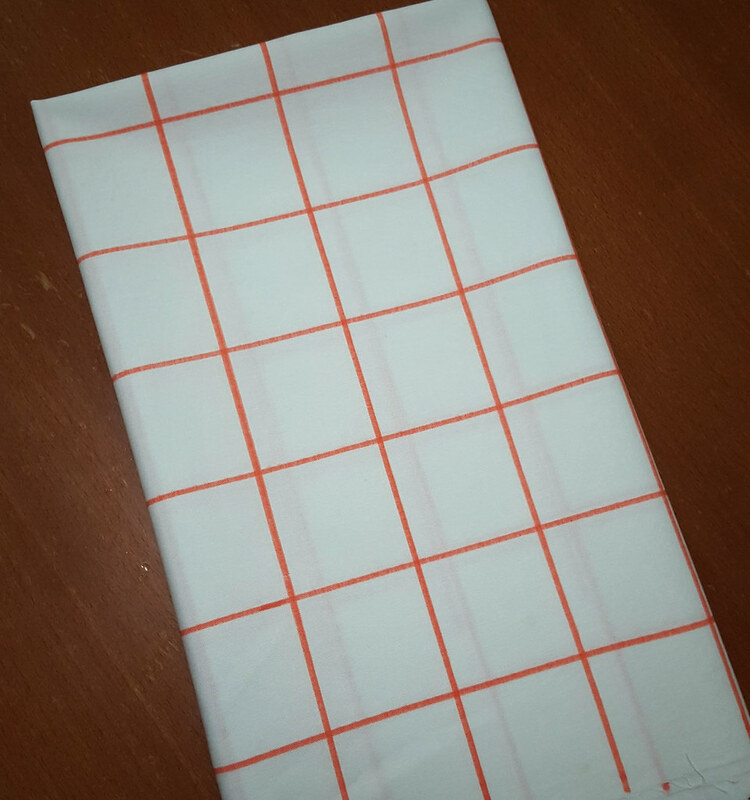 It quickly became clear that I wasn’t going to be able to find the white and red checked fabric that I had in mind. Again, this is a mix — Woody’s shirt is yellow with red checks, and Han’s is white/off white. 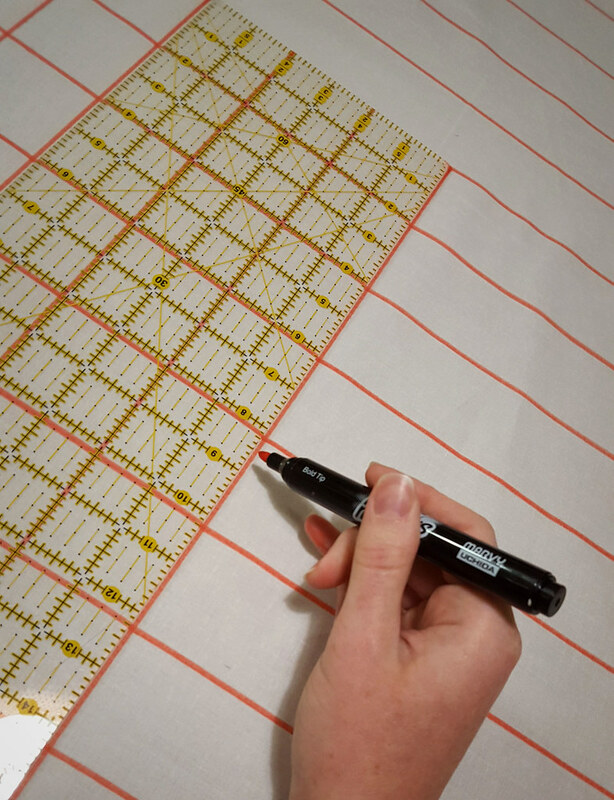 I improvised with white cotton and a red permanent fabric marker. 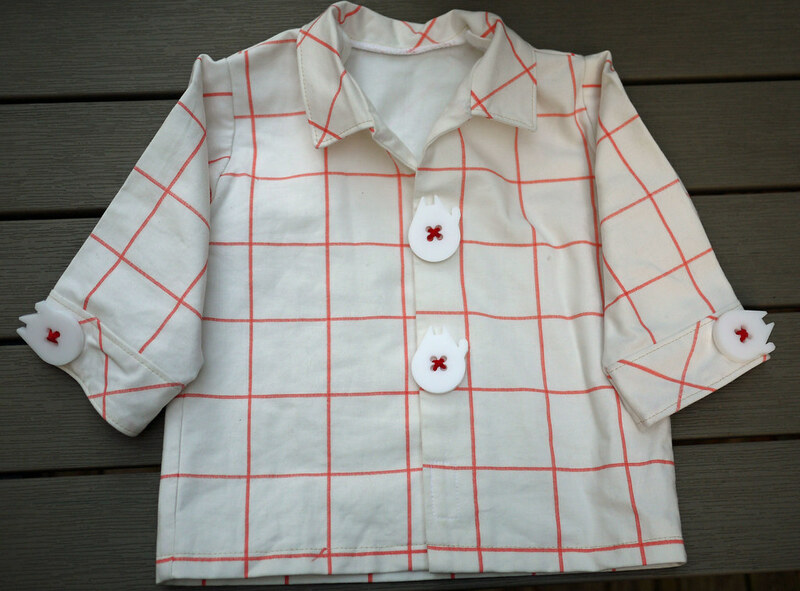 The pattern for this shirt is another freebie, Western Style Toddler Shirt from Barmy Beetroot. 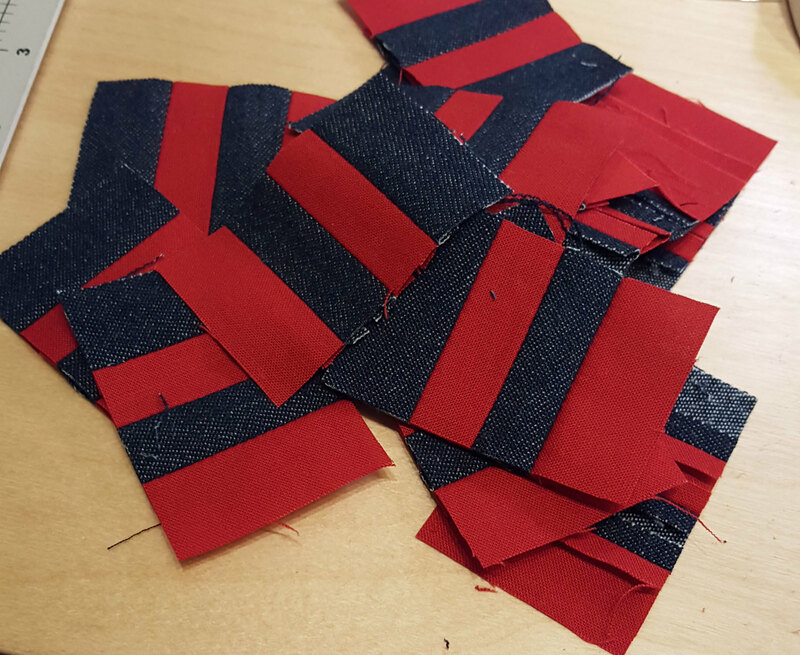 My modifications were a velcro closure, faux buttons, and lengthening the sleeves from short to long. I also cut the cuffs, collar, and back yoke on the bias. For the vest, I drew the structure from Han and the cow print from Woody. 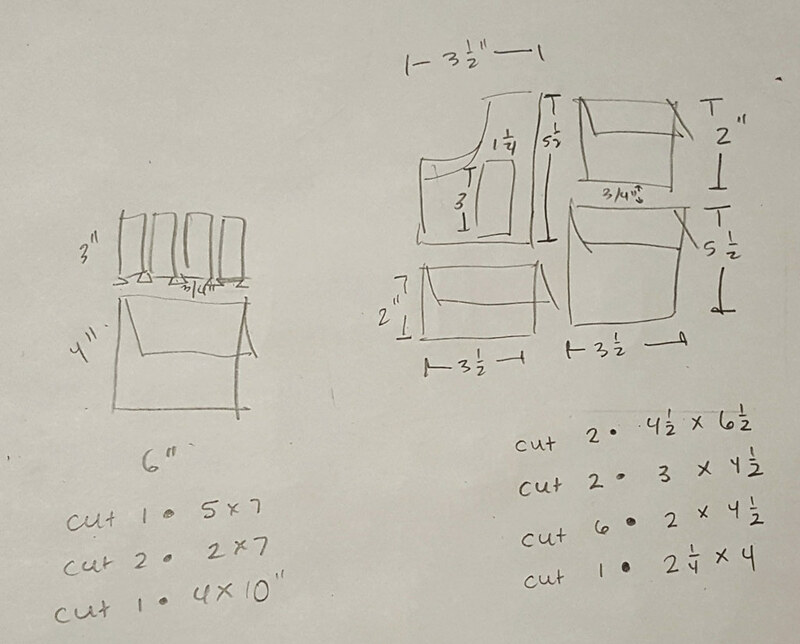 First, I sketched out the pocket placement from movie stills and figured out rough measurements. 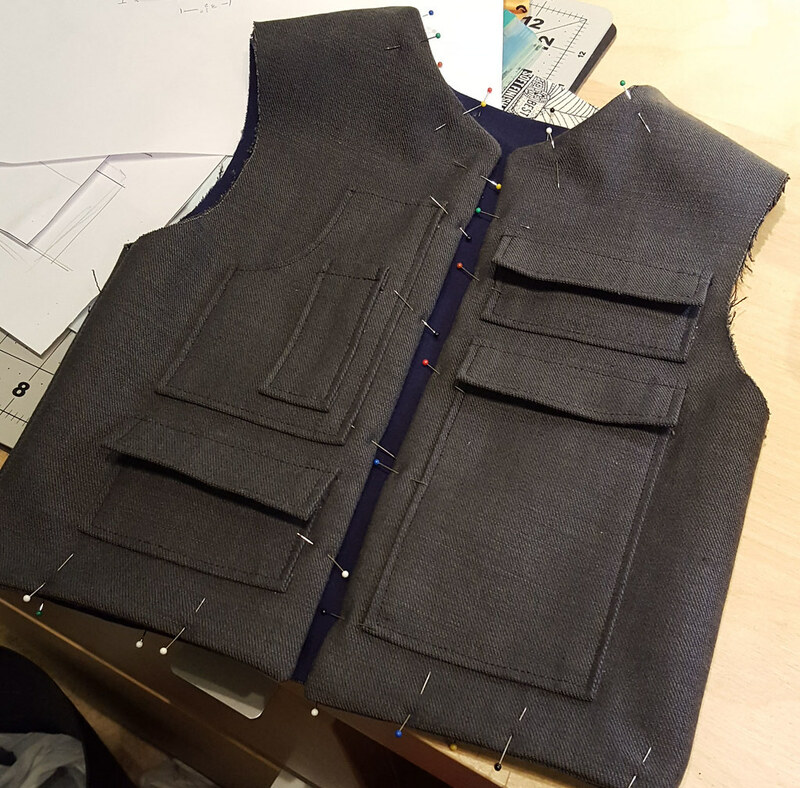 The vest pattern was the free (surprise!) 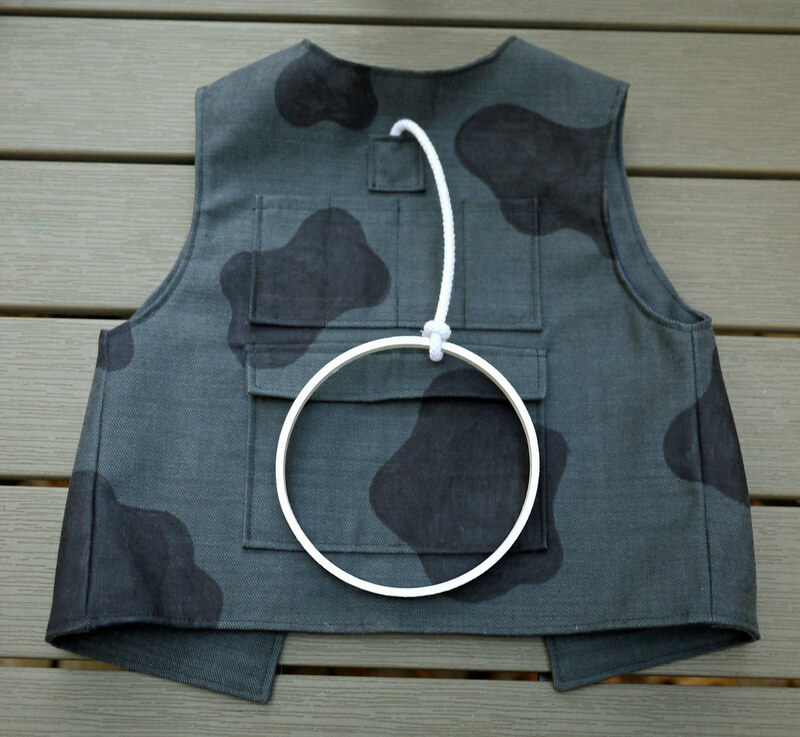 Very Cozy Vest from Made by Marzipan. The cow print was freehanded with black Sharpie. Doesn’t get any easier than that! 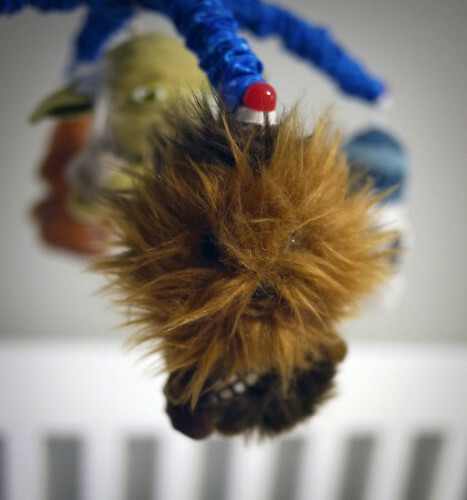 Another favorite detail — Woody’s pull string. 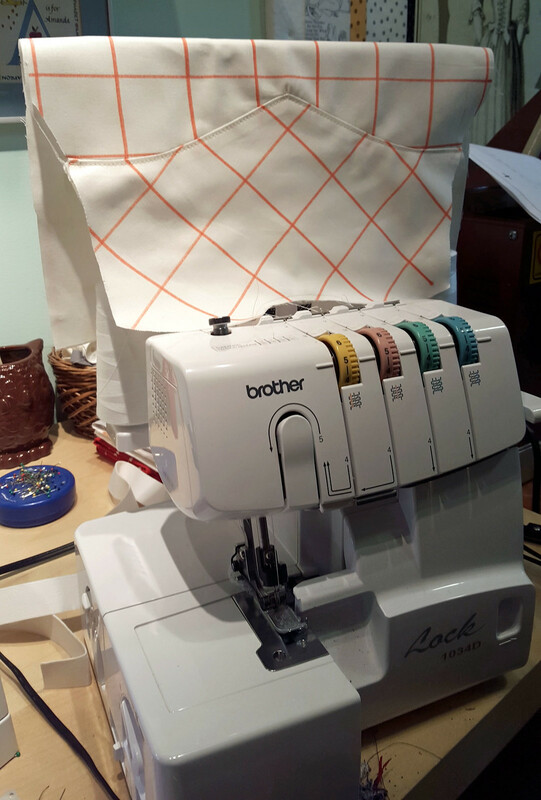 A bit of cord from the fabric store coupled with a painted embroidery hoop innard. Of course, I’ll take any excuse to use my Silhouette Cameo! 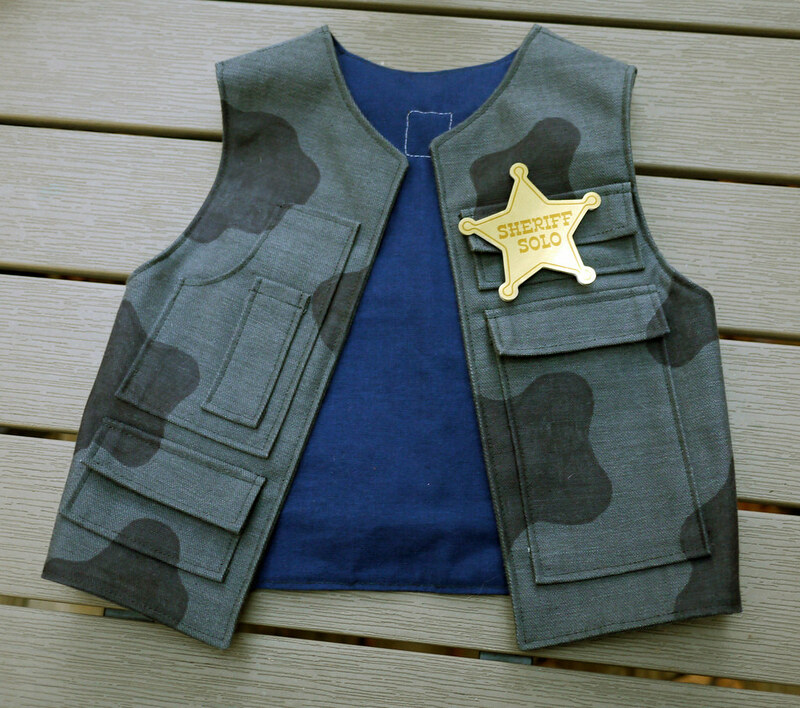 The belt buckle, spurs, and badge were all designed with the Silhouette software. Each design was cut out of cereal box cardboard twice, then adhered together with my Xyron machine. 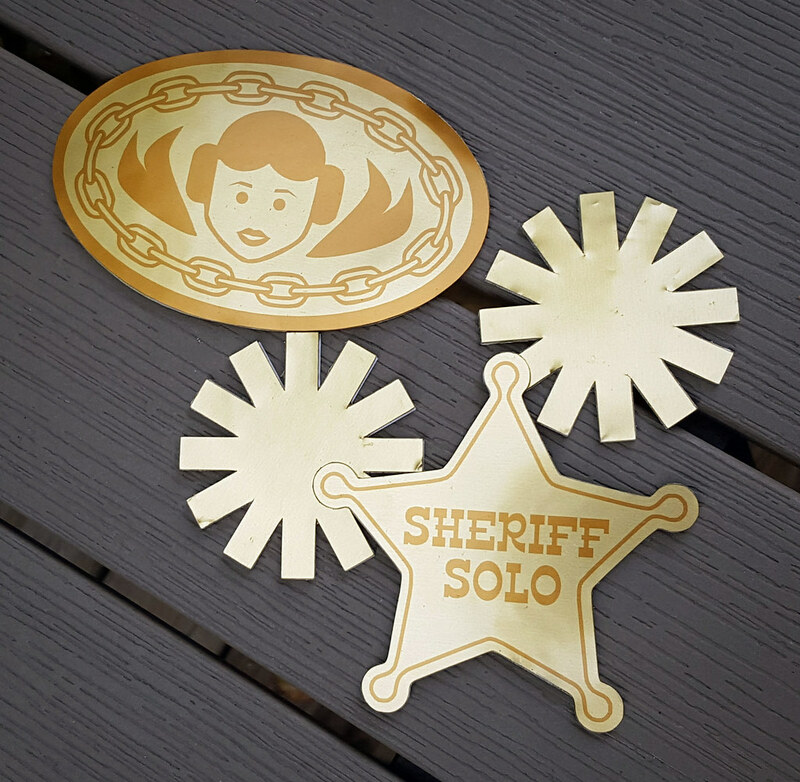 I then used the print & cut feature with Silhouette’s printable & adhesive gold foil. Layered al together, it made for sturdy pieces. I used a metallic gold marker around the raw edges to cover up the white from the cardboard. 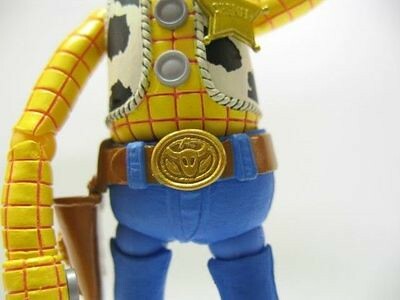 Here’s a screencap of Woody’s belt buckle, to show where I got my inspiration for the Leia buckle. 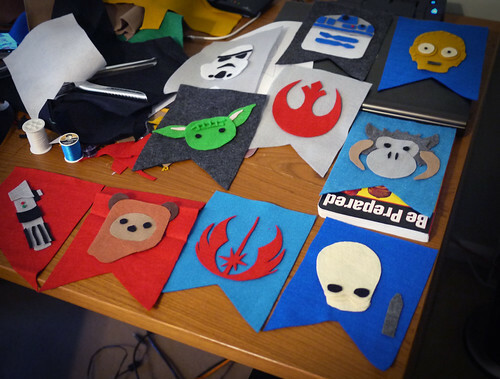 Originally I had attempted to make boot covers, but I couldn’t get them to look how I had pictured them. 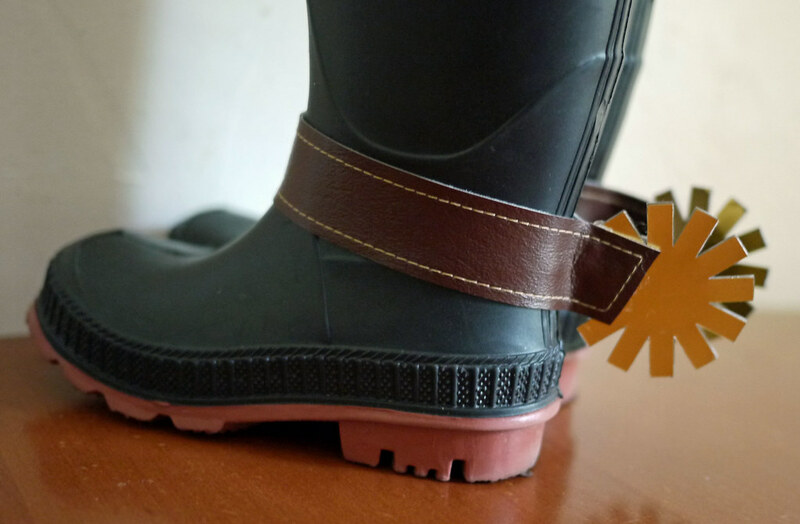 Instead, we picked up a cheap pair of black rain boots, which I decorated with strips of topstitched vinyl and the gold foil spurs. The finishing touch was the treat bag. 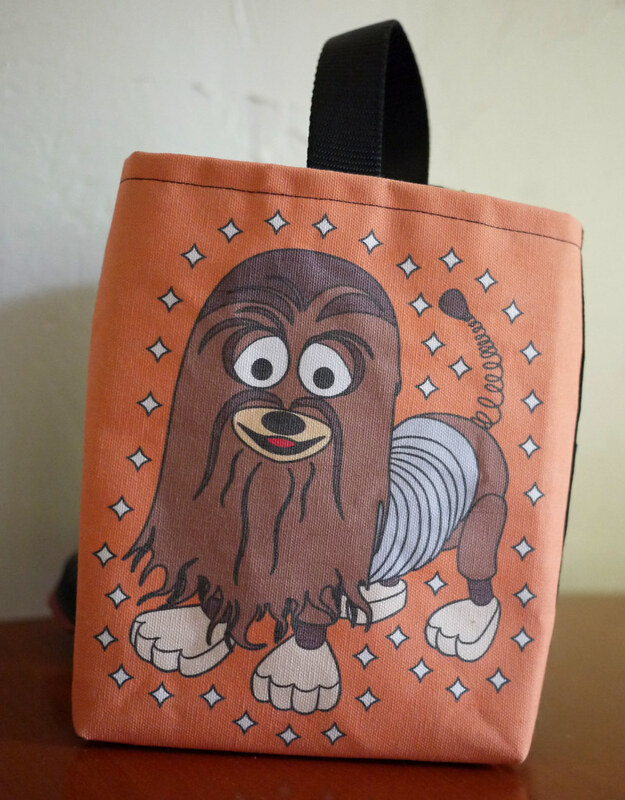 I puzzled over it for a week or so, before settling on a mix of Woody’s pal and Han’s sidekick — Slink & Chewbacca. It took some time, but I came up with a design that I liked. The finished image was printed on Sillhouette’s printable canvas. It was a fast way to finish up, but I wish the colors had been a bit more saturated. It fit the bill, though, and was stuffed full of goodies on Halloween night. 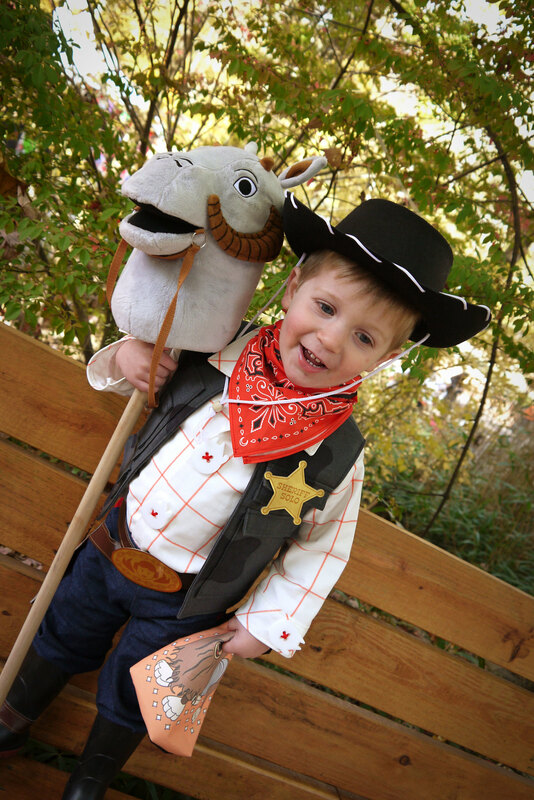 Here are a few more pictures of our cowboy enjoying his costume. 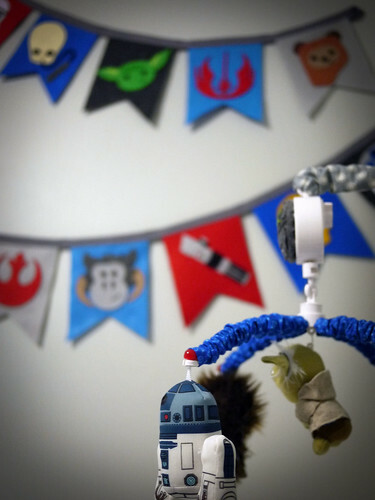 One final detail: the tauntaun hobby horse. 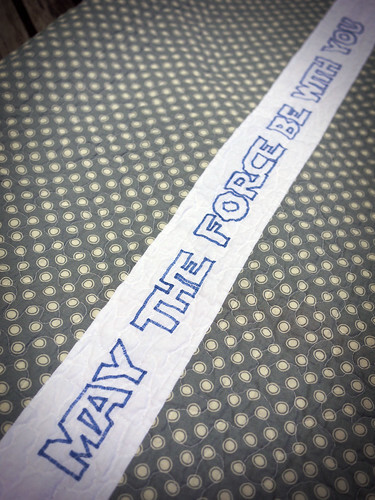 Unfortunately it’s no longer available, as it was an exclusive from the 2012 Star Wars Celebration convention. 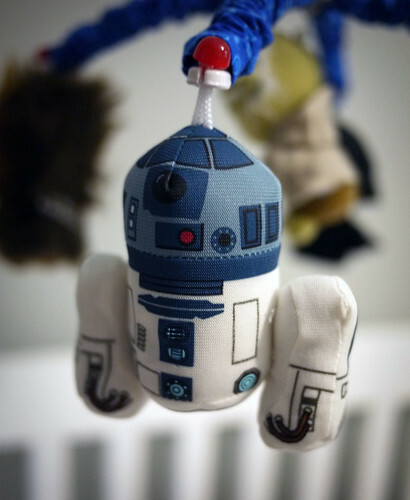 I bought it back then to decorate our son’s nursery. It was great to incorporate it as part of his costume. So another Halloween is on the books… and I’m already looking forward to next year! Like many on the East Coast, I was lucky enough to have off of work today to weather out the storm at home. 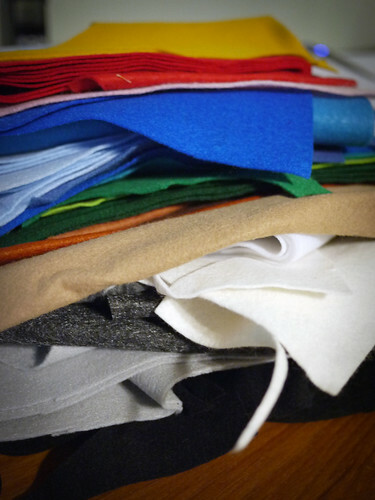 I set a goal for the day of making something for the baby’s room out of only supplies I had lying around the house… Starting with this big pile of felt scraps. After a lot of trimming, here we are on our way to bunting for the nursery. I had planned to do a good bit of embroidery on each piece, but I actually like it a little more simple. 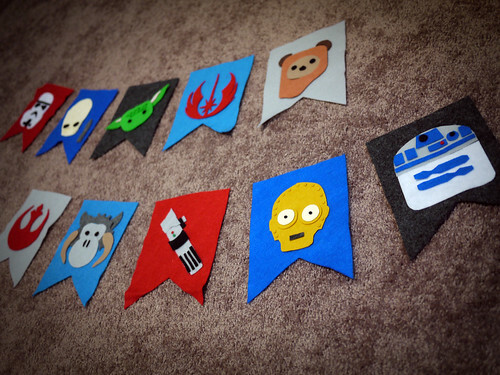 From the top: storm trooper, Cantina band member, Yoda, Jedi symbol, Wicket the Ewok, rebel alliance symbol, tauntaun, lightsaber, C3PO, and R2D2 bringing up the rear. 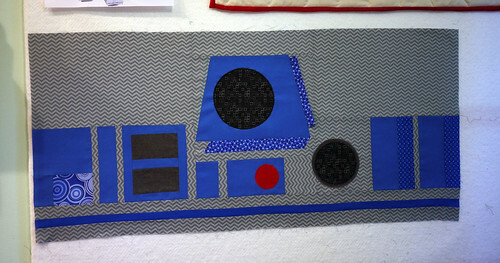 The binding is actually left over from a quilt I made last April. This is why I don’t throw anything away! There’s still a lot of work to do, but it’s really exciting to see a few things coming together in the room. 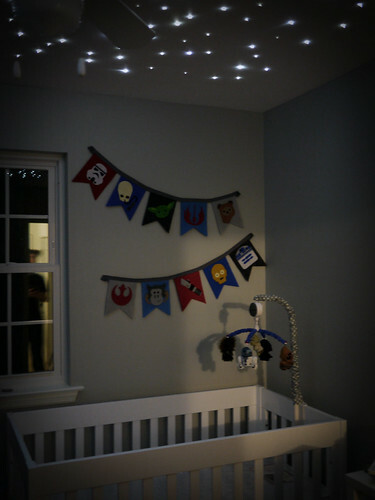 As you can imagine, it’s not easy to find accessories for a Star Wars themed nursery. Bring on the DIY! 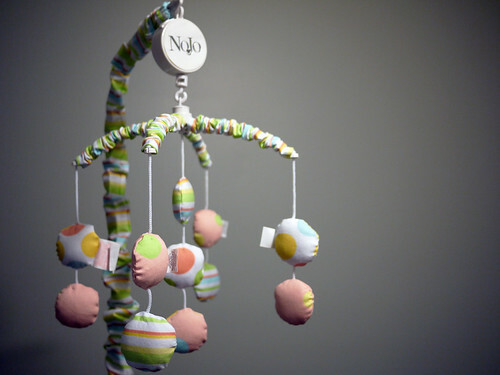 My latest project was a repurposed mobile. 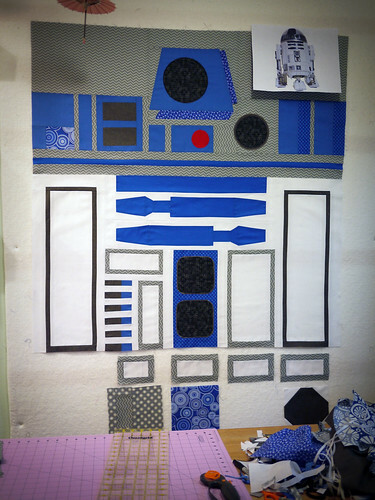 I took it apart and measured the fabric pieces that came with it, making patterns and using leftover fabric from the R2D2 quilt to ‘reupholster’ the arms and hanger. 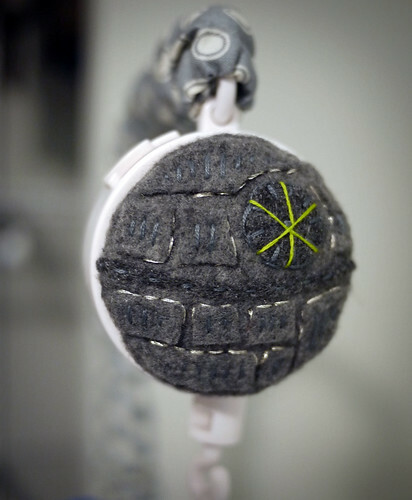 Then, I freehanded a felt Death Star to glue over the round mechanism up top. 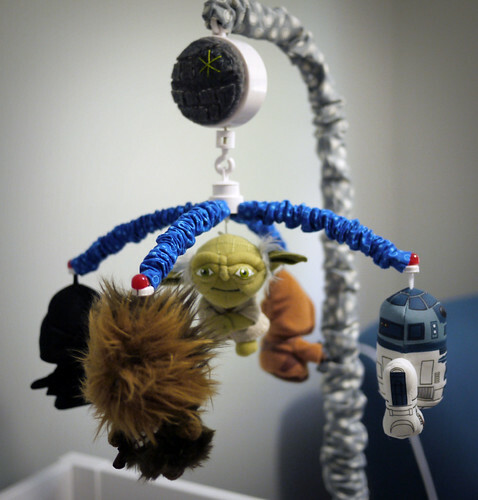 Sadly, it does not play the Imperial Death March – ‘Lullaby’ will have to do. 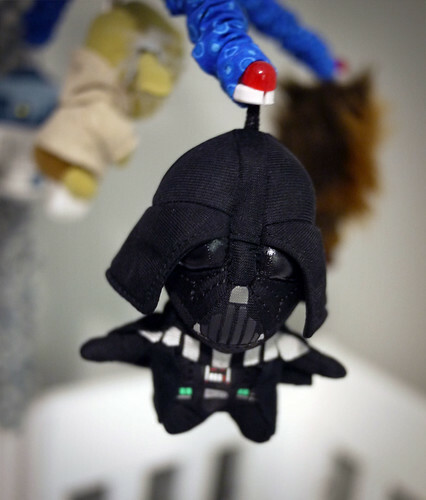 BUT, the little plushes that I bought on eBay to hang from the arms make their own noises when you squeeze them. 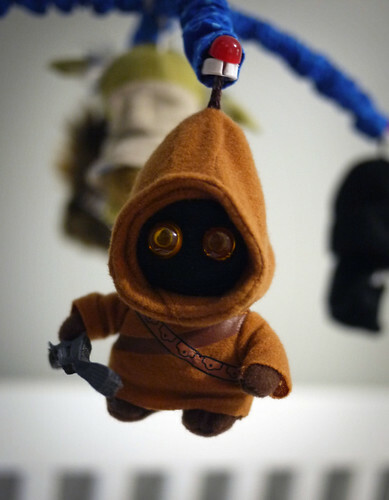 Chewwie roars, R2D2 beeps, Yoda pontificates, and Vader breathes heavily… Jawa’s eyes even light up! So still pretty cool. 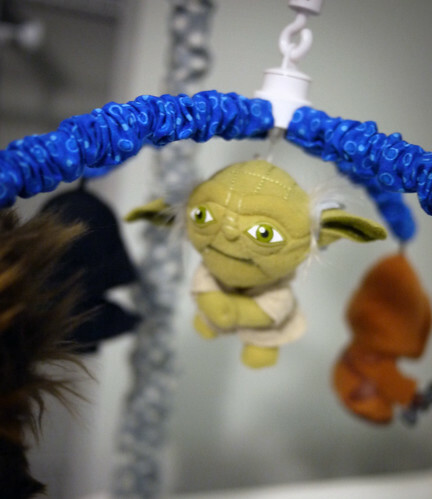 Each character is attached with embroidery floss, a decorative button, and a generous gob of hot glue. Ok, here’s a hint or two. (Bonus points if you know what the guy on the right is.) Still not sure? 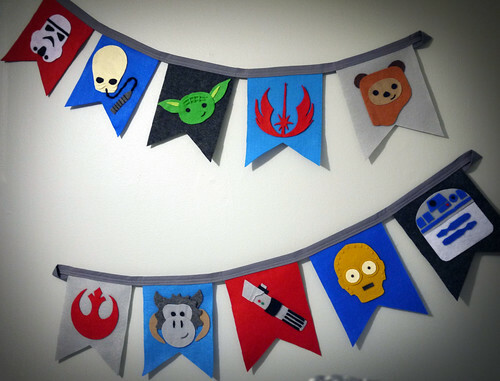 This is the first project for our little padawan’s Star Wars themed nursery! 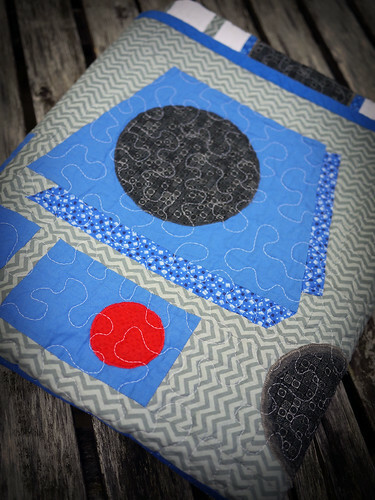 Pattern: I wish! Made up as I went along. There’s a whole lot happening on the front, so I decided to keep the back very basic. 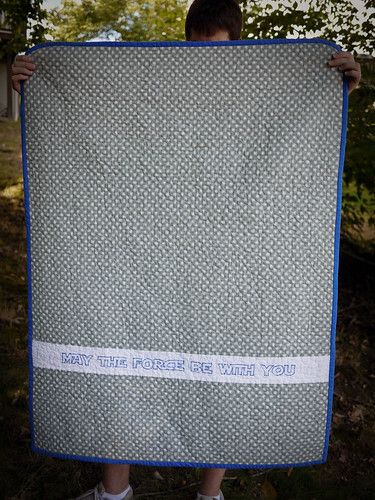 Love this Denyse Schmidt dot print from JoAnn Fabrics. Originally I wanted to embroider the back by hand, but after finishing the first word I wasn’t fully happy with it. 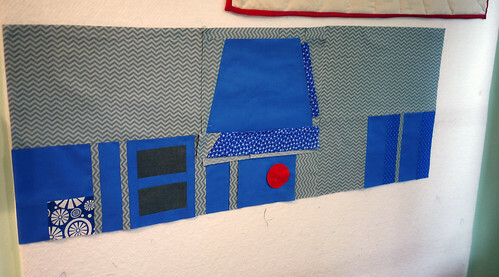 Instead, I used my machine’s basic zigzag stitch. It’s a little wonky, but I think that adds to the charm. 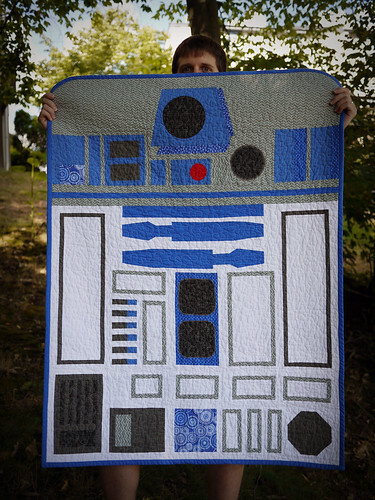 I’m really happy with how this quilt finished up, and it’s given me a lot of confidence in our unconventional choice of theme. Here’s a few pictures of the process. Basically I printed up a bunch of pictures and winged it from there. It’s been a long time since I made something up from scratch, and it was a bit of a struggle. Apparently my version of ‘pregnancy brain’ is a complete inability to properly use fractions. 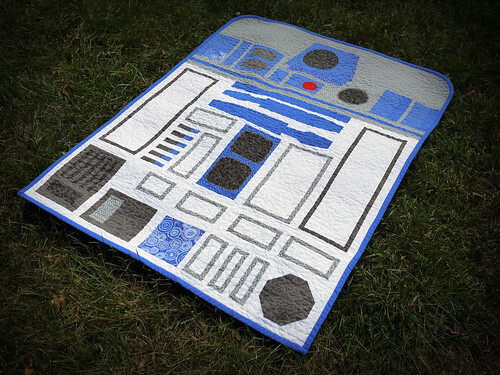 Lots of ripping out, lots of re-cutting… but worth it in the end! I love this picture: inspiration in the upper right, and carnage in the lower right.